Equine Assisted HeartMath Coaching This is a non-riding form of Equine therapy. I realized years ago that there is much more than just the back of the horse that casues healing. There are so many people out there who love horses and yet are afraid to get on them and there are people who are just too feeble or too large. With my realization that horses are not dumb animals to be exploited and when not ridden their true beingness shines through I was so excited to find HeartMath and their form of non riding therapy. It was HeartMath Institutes pioneering work and technology that confirmed what I was feeling. I just did not have the right termonology to decribe what I was feeling and what transformation I was going through. So I set out to be certified with HMI to join my knowledge and experience with theirs. 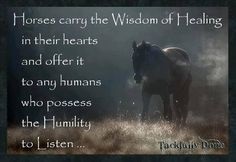 To read a whole lot more about it please click on the Equine Assisted Therapy page. What would you do if I told you there were simple tools that you could learn to change your whole world and intergrate a lasting and constant feeling of love and appreciation for yourself and the world around you? What would you do if I told you this could also assist in healing your mind body and spirit and bring balance to you? What if I told you already have the greatest tool to accomplish all of this. And yes it is attainable! The tool is your Heart! Within our heart lies the power and the intuition to change our world and finally make it the place we have been always looking for and it can also make us the person we have always dreamed about being. No, this is not a pipe dream but palpable and documented, proven by science. HeartMath Institute of California has been doing this work for decades. And it is all available to you too. With my help of course. 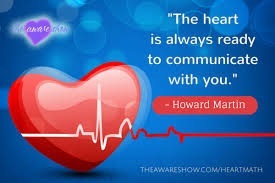 Another great way to connect to the heart! A simple yet profound way of accessing your soul through painting! I have always enjoyed creating. It feeds my soul and fills my heart with such joy. This class can be attended either online or at my home. But this class is so much fun to share with others. If you want a one on one session please contact me. 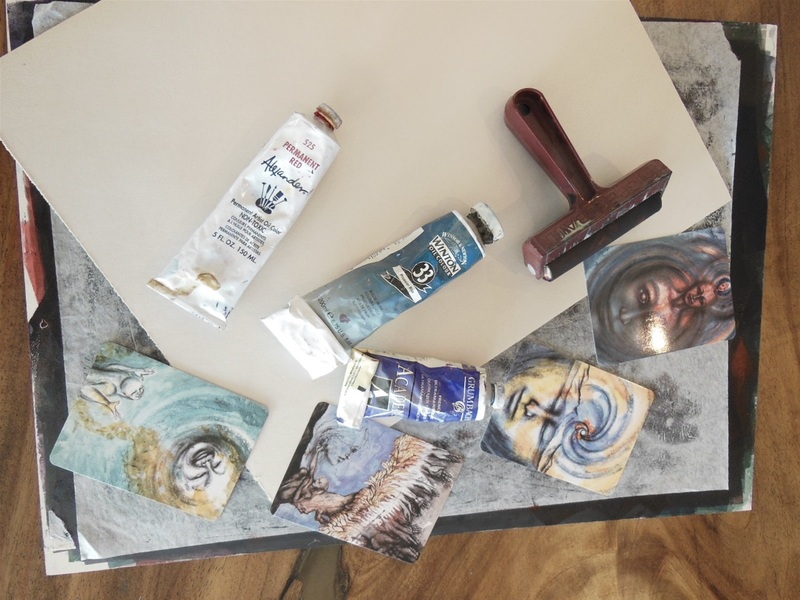 Click the link above Expressive Arts to learn more about this magical process. I also offer this ancient healing technique! I began my Reiki training back in 1997. My very first patient was of course, a horse! And he became my first greatest teacher. 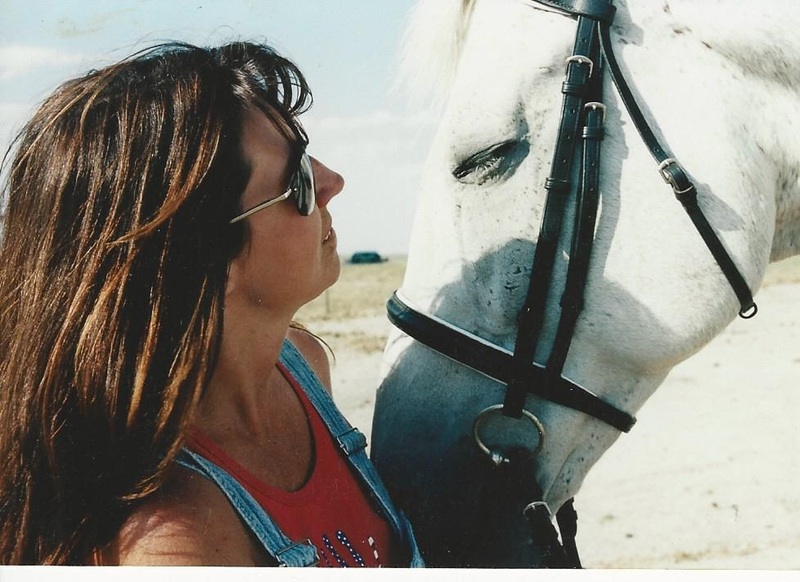 But then more horses came into my life furthering my learning and healing abilities. I have worked on everything from, falcons, turkys, peacocks, dogs, cats, horses and humans to name a few. Energy is energy, we all have it and underneath our skin suits we are all the same. 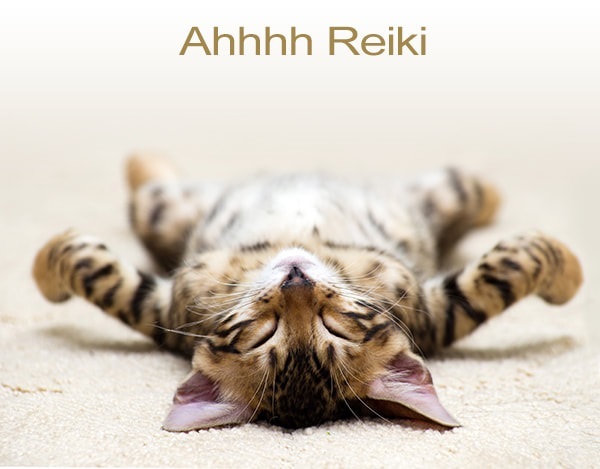 If you want to read more about Reiki click the Reiki tab at the top of the page. 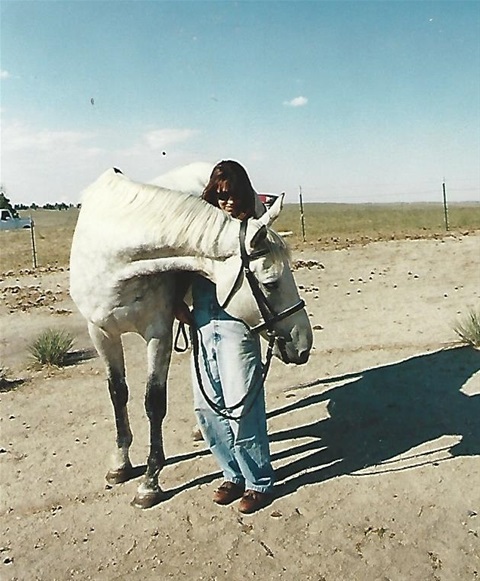 Lucky, My first Dragonhorse, the one who started it all back in 1998. Hello, I am Denice Garrou and yes I have been healing with horses for over 20 years. But, first they had to heal me and then I had to write about it. Writing my stories (even tho labled as fiction) was a very intergal part of my healing journey. But why dragonhorses? Both the horse and the dragon carry similar symbolism; life, death, and rebirth or resurrection. In Shamanic cultures the horse carries us to the otherworld to be healed. The gypsies bred black and white horses to remind them of the cycle of life and rebirth. When we heal we must lay to rest a part of us so that we may be reborn again in a new light. 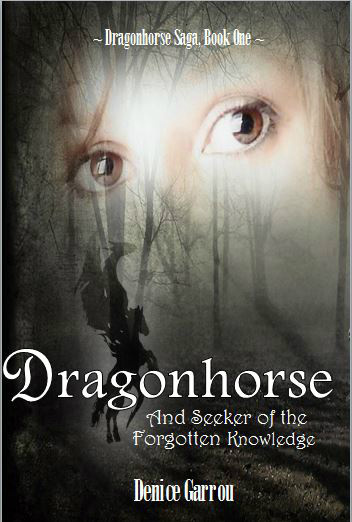 My Dragonhorse Saga, a read for all ages! What if who you truly are is kept secret from you, just to keep you alive? Young Shion’s life ripped from her, bound by a prophecy she herself had made a lifetime before, has become a seeker of the forgotten knowledge. She must fulfill her quest to relearn and regain her inherent power before she can reclaim her love and her life. A love story that must endure the transcendence of time and dimensions. A thought provoking, conscious awakening jaunt, back to a time when magic was forbidden, gypsies and witches were hunted, horses were just for pulling wagons, and dragons no longer lived . . . or didn't they?